Here’s a small selection of wonderful plants I’d recommend for the garden in September. When I drew up the shortlist I hadn’t realised that most of them hold the RHS Award for Garden Merit (AGM), but that just helps to indicate what great plants they are. No need to just take my word for it!! Such an exotic looking perennial for a shady border. The ‘toad lily’ has stunning flowers in August and September and is ideal for a woodland garden with reasonably moist soil. My own garden is a bit too dry to grow it unfortunately (and I’ve tried a couple of times) so it’s one of those plants I always lust after at this time of year when there aren’t that many perennials which flower this late on in shady conditions. 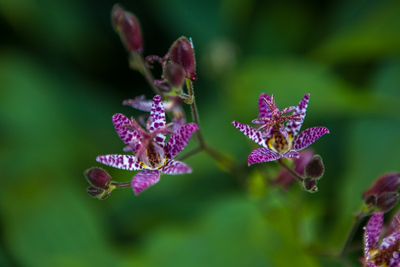 Tricyrtis gets to about 80cm high and 50cm wide, and will die back over winter. Perfect for the late summer border, this sun-loving lavender-blue perennial looks great with pretty much anything including ornamental grasses. It grows up to about 90cm tall and about 40cm wide, so may need staking, but otherwise is pretty much trouble free. Asters generally need fertile soil to do well but this variety can cope with some dryness. 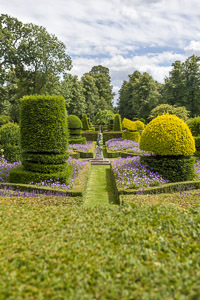 Plant in big groups for maximum effect right into the autumn. If you have a pond or pool, this is a lovely aquatic plant to grow for its attractive spear-head leaves, and its deep blue spiked flowers in late summer. Growing to a height of about 1.2m, it’s a plant which works well if you want something quite architectural either in, or on the margins of, your water. I particularly enjoy the sight of this plant later in the day when the bright green leaves glow in the evening sun. It’s a plant that will spread so if space is an issue, plant it in a basket. 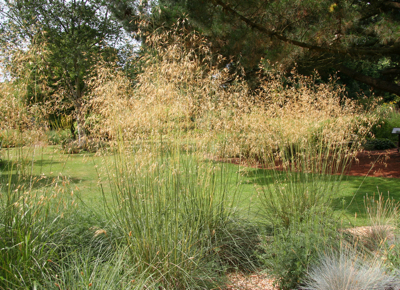 Stipa gigantea (or ‘Golden Oat grass’) is a fabulous statement plant for a sunny garden with well-drained soil. 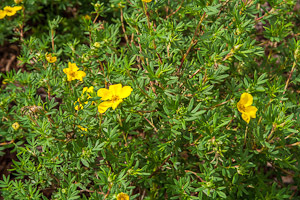 It has an evergreen base of leaves with tall flowering shoots (up to 2.5m high) which glow in the sunshine. This is a grass that provides height and movement in the border without blocking the view. 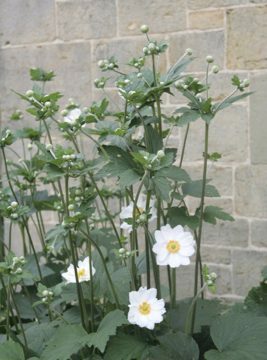 It starts to flower as early as May and continues on into autumn so it’s a very valuable plant to include in the garden. 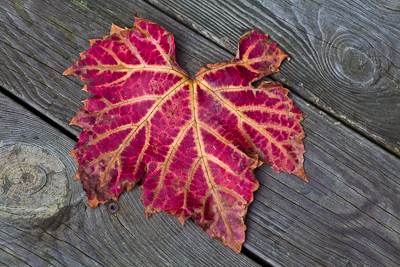 What’s more, you only need to cut back the old stems when they start to collapse, and that’s pretty much it as far as maintenance goes. 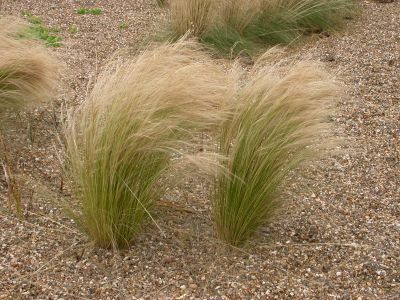 Neil Lucas of Knoll Gardens, which specialise in ornamental grasses, particularly recommends the variety ‘Gold Fontaene’. This is a bulb with a difference. Eucomis bicolour is commonly known as ‘two-coloured pineapple lily’, and it’s not that hard to work out why! The flower grows on a spotted stem (about 50cm high) above a low rosette of fleshy leaves, and it adds a bit of a tropical flavour to late summer planting schemes. Eucomis needs a sunny sheltered spot, and it is generally recommended to mulch it over winter for added protection as it’s on the tender side. That said, it has survived in my garden (albeit quite sheltered) for years with absolutely no special treatment! This is such an attractive shrub with slender arching branches, delicate foliage and gorgeous deep pink pea flowers which last for weeks and weeks. I grow it against a fairly sunny fence in dry soil, where it’s tied in to horizontal wires, and it looks lovely. 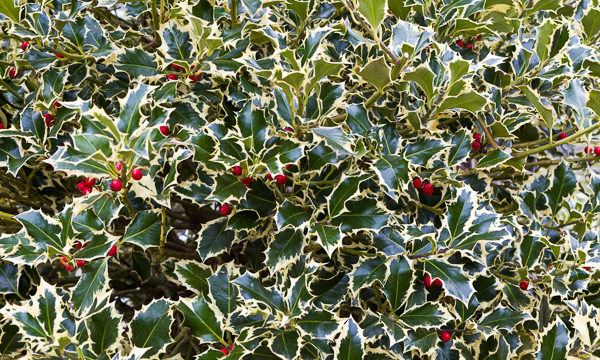 It reaches a height of about 2-2.5m, and if grown as a free-standing shrub (with an arching habit) it would spread about the same amount too. 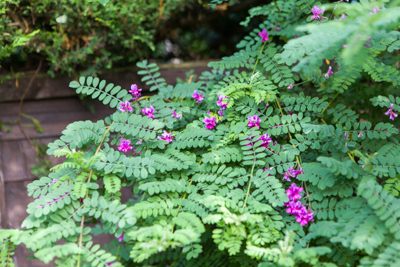 Indigofera lose their leaves in winter, and although a hardy shrub, it can be quite late to come into leaf, but it’s definitely worth the wait.